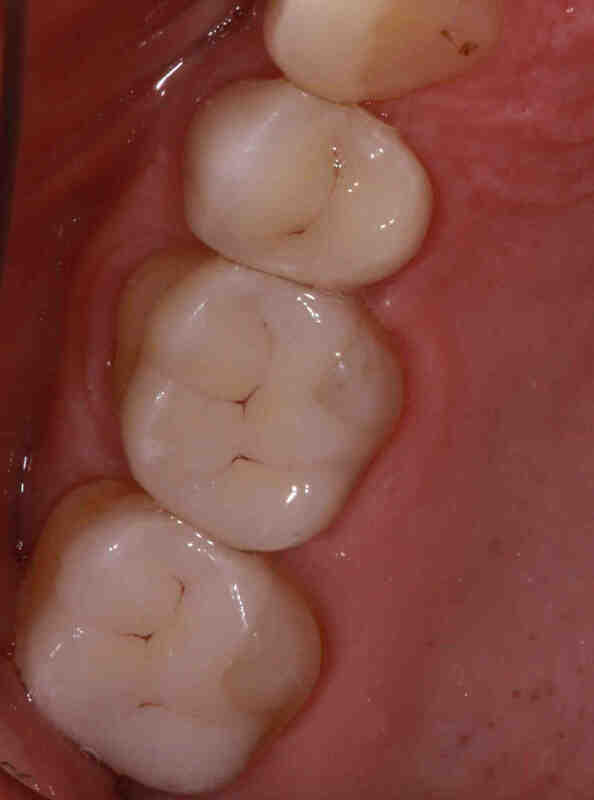 I had the distinct pleasure to day of replacing a crown. It was made that much more delightful because I did the old crown and it was an eMax lithium Disilicate that I bonded to place. How to remove this new material is a common conversation. The material is challenging to remove for all the same reasons we love it. Strong, chip resistant,crack resistant and bondable. Fortunately for me during the Chicago Midwinter meeting I had a meeting with Larry Rose of Brasseler USA and this exact conversation came up. There are new lines of burs being developed for adjusting and removing this material. The research on new product development has shown that finer grit diamonds are more efficient and more effective at cutting through lithium disilicate. To me it sounded counter-intuitive when I heard it, but today I got my chance. Traditionally I would have tried a cross cut fissure carbide or a coarse diamond. So today I asked my assistant to get out “plenty” of brand new diamonds. I put the first diamond in and got started. I was amazed, it was far from quick. I completed my usual three cuts from the gingival margin through the occlusal to the lingual-occlusal line angle. I made all three cuts with a single diamond, and in half or less of the time this would have taken with the other burs. Then it was a simple matter of using a crown remover and twisting int he grooves I had cut to release the remaining porcelain. Last piece was to prep off the resin which was bonded to the tooth and create a clean surface for the next bond interface. 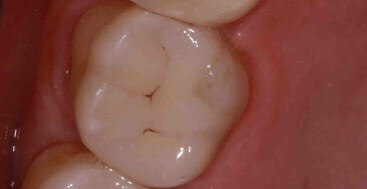 Use extreme caution if you are going to use the technique of “using a crown remover and twisting int he grooves I had cut to release the remaining porcelain.” One can easily destroy the remaining tooth if the porcelain is still well bonded and strong. Matthew I couldn’t agree more. I always try, but I am very cautious with the amount of pressure. If the bond to the glass doesn’t let go quickly I give up and prep it all off. wow Lee, thanks for the info. I had to remove two the other day. Did I ever work hard !!!! First time removed those crowns…I thought never again! Pierre you are right I was pleased with this new approach. Just out of curiosity, you mentioned research shows that using a fine grit bur is more efficient than using a coarse grit bur during removals. Can you cite these sources? I’m like you in initially thinking it’s counter-intuitive. As a starting place you can look at the research from Clinician’s Report.